Having a steady flow of new leads is essential for your company. That is the only way to get in contact with new potential customers. Recently I tried a couple of great tools for getting new leads using social media, Twitter and Linked-In. One fo them was Linked-In sales navigator and other was Socedo. Sales navigator is more traditional like tool where you go search through contacts (possible leads) and start contacting them. The lead discovery has some level of automation. Socedo is a lead generation automation tool, which automates led discovery, contacting and conversation initiation very easily. I found that having a lead generation automation tool boosts the lead generation. Using a more traditional way of contacting leads gave us over a hundred leads a week. Having the process automated we can have that same amount of leads in a day. Response rate is the same in both. Linked-In sales navigator is a premium add-on to your linked-in profile. With sales navigator you can mark accounts (companies). Sales navigator shows you linked-in profiles related to these accounts. You can save profiles as leads, so you’ll get notified about updates in accounts and leads. For contacting ou get In-Mails (amount depends on plan you have purchased) or sending messages if profiles are open or you have already connected. Linked-in searches the profiles for you, that is automated. Connecting and initiating conversation doesn’t have automation, that depends on you. Sales navigator doesn’t have an app, but there might be a dedicated app in near future (Apple first). 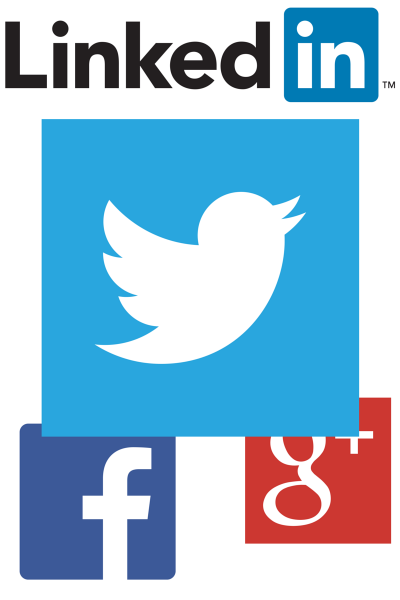 Socedo is a new lead generation automation tool, which uses Twitter for lead discovery. You can give keywords for three criteria groups tweets, profile and bio for searching twitter profiles. Socedo presents you matching profiles and you accept or decline them. For accepted profiles automated contacting and communication process starts. You can decide if you wish to favour a tweet before connecting, send a message for those who reply (follow) you. You can even send a linked-in connection request and set a message for those who do connect. You have ability to A/B test the message sent to twitter followers. Socedo has good instruction how to make these messages. For premium plan you have ability to use contextual direct messages. This is handy when you wish to have leads to two different services. You can vary your messages based on the context they reacted. Socedo has an app (Apple only), which makes connecting leads very easy. App shows twitter profiles and you need just to answer ‘yes’ or ‘no’ to accept or decline. Using the app you can go through staggering number of new leads in very little time. After setup, it si easy to go through thousands of prospects daily. For more robust and fine tuned communication you need premium plan, which is a bit pricey. Both of these are very powerful tools for contacting people who have no idea who you are. The biggest mistake you can make is to send direct ‘buy now this incredible product’ message. Recipients will perceive it as spam. The main purpose of these tools is to get you connected to people who are interested in areas you work and start a conversation with them. Sending a direct sales message will get you banned, un-followed and muted. 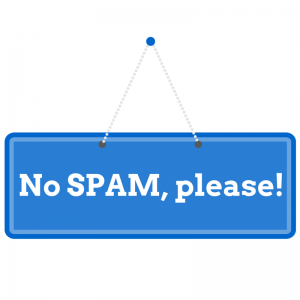 There has been already some discussion in linked-in by annoyed well-connected persons about linked-in turning into a spammers platform. You truly need to think how to contribute to the businesses you are reaching to. Selling has been quite hard for me. One reason has been lack of good leads which has been result of non-existent lead generation pipeline. After trying these two tools sales work has been easier. Previously we relied on old-fashioned methods of direct emails and cold calling. These produced some results, but felt awkward. I think having conversations with prospects is far better way of getting customers. It doesn’t immediately converge to sale, but today cold calling isn’t that effective either. Having a conversations helps both us and potential customers. We learn what customers are expecting from us and potential customers learn about our expertise and get familiar with our offering. Wich is the goal of all marketing anyway. When doing social selling, you do be careful not to spam your contacts / followers. Using lead generation automation this is very easy to forget. The purpose is to get people to connect or follow you so you can start a conversation with them. They will buy from you if they see that you give value to them. Being annoying doesn’t provide any value. Even with automated contacting, you shouldn’t lose the personal touch in the messages. I’m fascinated to see how these systems evolve. Good article Pete. I think offering prospects and leads real value online is an important part of the social selling process. There are many ways to do it, whether via blog posts, white papers or my own favourite personalised benchmarking reports. Thanks, that is true. Providing value to is a great way to show your competences and offering. It also gives leads and prospects confidence to make a purchase from you. Otherwise generating trust can take a lot of time. Thanks for the useful Article Pete. After the reading article about the SOCEDO I have tried this tool, It’s really a good for Lead Generation. Since I’m using this tool I see the improvement in generating leads. Thanks Nivas, I find their tool very useful too.